There is not much to say about the humble 'Trachy' that has not been said before. 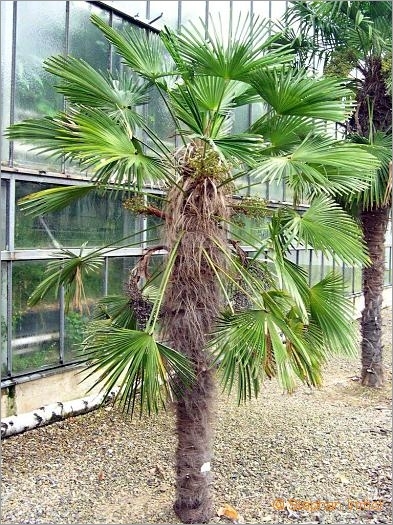 This most popular of the hardy palms has been cultivated in the West for a hundred and fifty years since the explorer and adventurer Robert Fortune first saw it growing (though not wild) on Chusan (now Zhousan) Island off the east coast of China. Cultivated on the mainland for much longer than that, its origins are obscured in history. Its hardiness against cold is legendary, as is its easy care nature, and its wide availability means it is often the first hardy palm that many of us own. It is also probably the palm species best tested and documented for its frost resistance.